Twenty years ago, in England, author Richard Leviton �discovered the planet.� Following quite specific guidance, he began a long process that amounted to an apprenticeship. �My mentors dispatched me to various specific locations in the Somerset landscape, and at all hours of the night and day. I sat on hills and valleys and rocks under sunlight, moonlight, rain, snow, and fog, and had visions. I started to see another landscape behind the apparent landscape. It was an apparitional landscape with stars, planets, galaxies, angels, spirits of Nature, mythic deities, divinity.� As time went on, he found himself talking with angels, visiting celestial cities, and following gnomes. He came to understand that at one level we are the planet, and that both we and it have an intimate relationship with our galaxy. This is the first book to synthesize all the fragments of geomantic perception (sacred sites, energy points, vertexes, etc.) into a global interactive model that ties human consciousness directly to it. Leviton describes 85 subtle features in the planetary landscape, places you can go for mystical experiences. They are features of the Earth�s energy body, almost all invisible to conventional sight. But psychic cognition can be trained, and you can usefully interact with any of these types of sites today without seeing what you�re doing. Your intent to interact for the benefit of yourself and the planet is all that�s required. 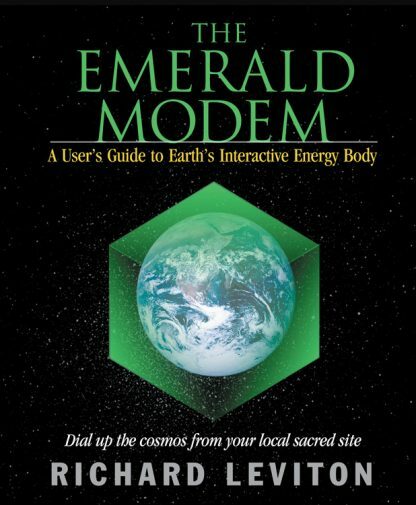 Just as modems dial us into the Internet, so the features of the Earth�s energy body described in The Emerald Modem help us get online with the galaxy. You can learn to visit Grail Castles, experience a Mount Olympus, or walk through the stars in a landscape zodiac--and you can learn enough to become confident that you�re not traveling alone.